Welcome to You Pearl Jewelry wholesale online store! As a China pearl factory direct pearl jewelry wholesaler, we have offered our worldwide business partners from loose pearl beads to originally designed handmade pearl jewelry at the lowest on sale prices. Our pearl for sale includes cultured freshwater pearl, Akoya pearl, South Sea pearl, Tahitian pearl, pearl necklace, pearl earrings, pearl bracelet, pearl pendant, pearl ring, and bridal jewelry. 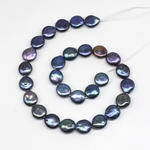 Our wide selection of pearl jewelry provides you affordable and luxurious high-end top quality. In our store, YOU must be able to find the most suitable pearl jewelry!